"My goal is to make the world beautiful one person at a time." 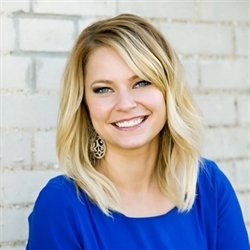 With a career spanning 16 years, Lexie is making her mark on the world of beauty in Minneapolis, Minnesota. After graduating from Regency, she went on to pursue an advanced education to expand and further perfect her skills behind the chair. Her love of color and education led her to become an Artisan Educator with Sunlights® Balayage — the company that pioneered the balyage or “hair painting”. Giving every client an amazing experience is important to Lexie, but making each client feel beautiful and confident is at the heart of every service. Are you a salon owner or a hairstylist looking for a class on balayage? Do you paint hair now? Are you a newcomer to hairstyling or an advanced hairstylist? No problem! I’ve got you covered. I teach three different styles of class settings. Look and Learn: Balayage Brilliance! Look and Learn + Light hands on: Balayage Baby! 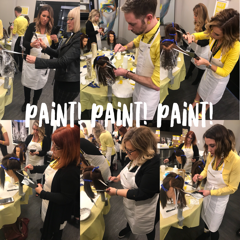 Look and Learn + Intense hands on: Painting Balayage! Join the hair painting revolution today! Please inquire with me with email or by phone for pricing and dates. Here is the Sunlights Balayage website for more information.